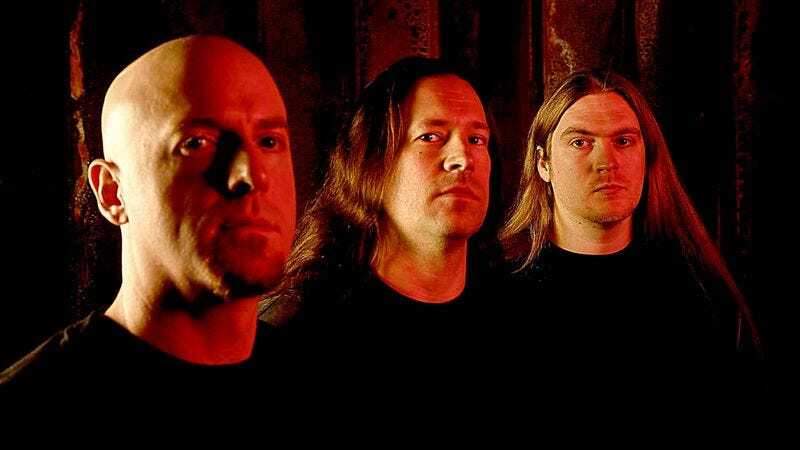 Maryland death metal trio Dying Fetus has been active for 25 years now, releasing seven full-length albums chock full of technical death-grind. Last night, at the Chicago stop of the Metal Alliance tour, Dying Fetus honored the request of a deceased fan, known only as Nick, who asked to have his ashes spread in the pit during the band’s set. Before going through with it the band posted to Facebook, asking fans if they should grant Nick his final wish. The band went through with it, later posting, “We just scattered nicks ashes in the pit for his favourite song, homicidal retribution, may he RIP. Rest in the pit \m/.” It’s a morbid tribute if there ever was one—and probably a health code violation, too—but Nick got what he wanted, and Dying Fetus became the literal embodiment of death metal. The video for “Homicidal Retribution,” Nick’s favorite song, can be heard below.